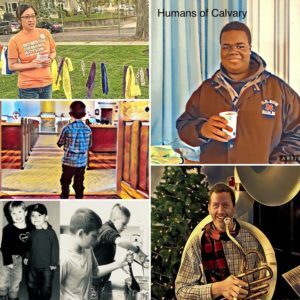 At Calvary, we are blessed with music played by the Calvary Brass Band and sung by the Calvary Choir at Sunday Worship! The band is always looking for new members; please contact the church office if you would like more information. 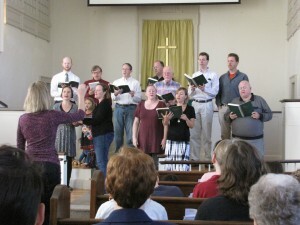 The choir sings a variety of styles and types of music from classical to contemporary, from early American to gospel. 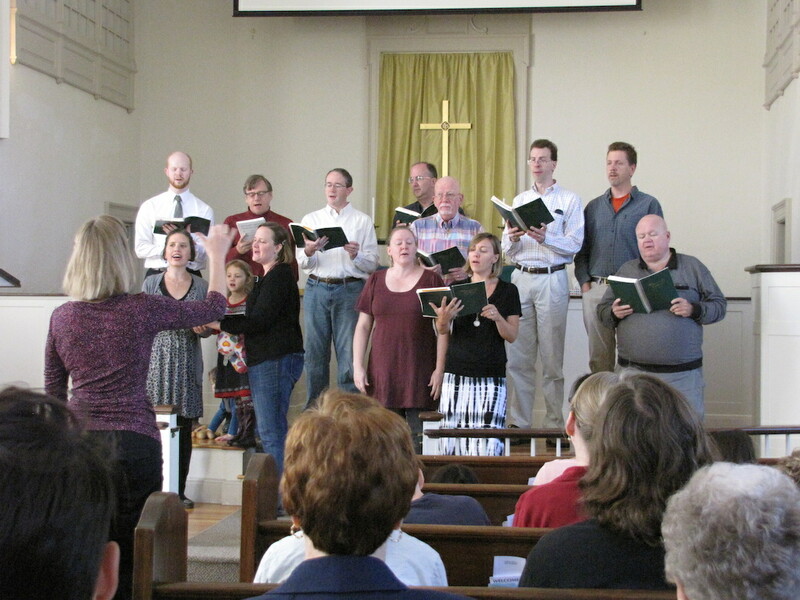 Under the able direction of Sue Paro, the choir adds joy and music to our worship service each Sunday from September through June. Rehearsals are Wednesday evenings at 7:30 PM in the choir room in the basement of the church. All interested singers are welcome to participate. On Easter Sunday, all are invited to join in singing the Hallelujah Chorus from Handel’s Messiah. 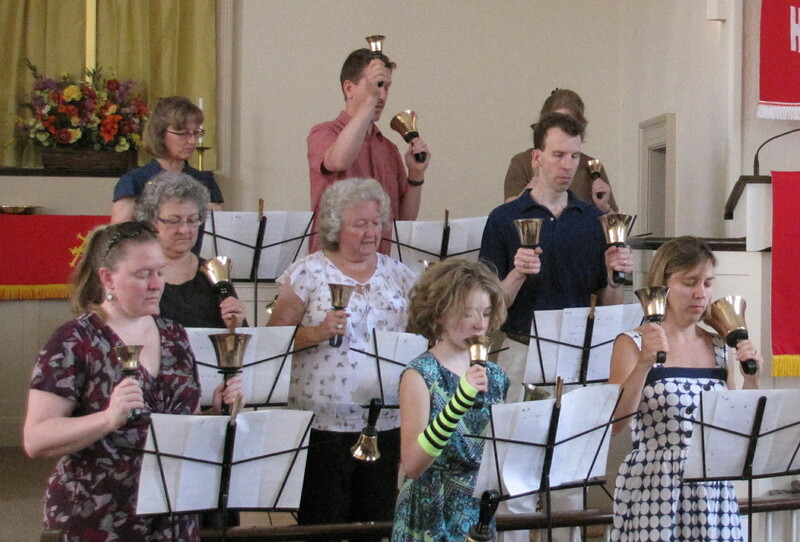 Music is available and our choir members are positioned throughout the group to help lead the parts. 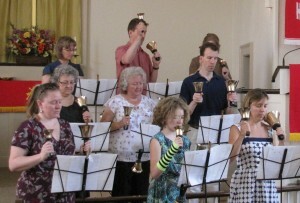 The Calvary Bell Ringers perform on several Sundays during the year. If you are interested in playing, contact Sue Paro.